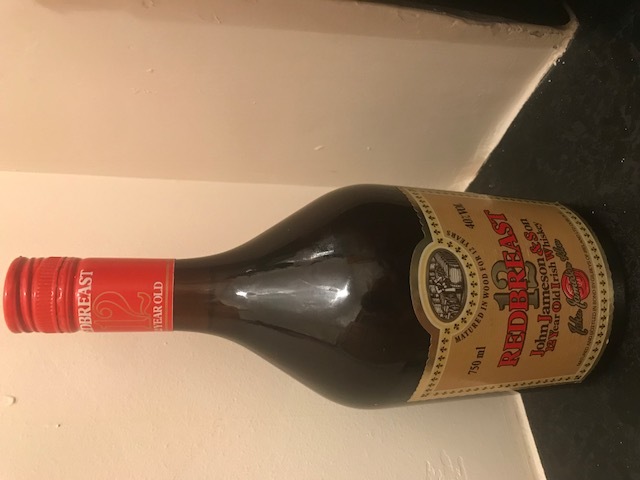 Would anyone be interested in buying a full unopened bottle of 12 year old Redbreast whiskey. It is in perfect condition and the label and levels are perfect. Celtic Whiskey shop were selling them for €400 but are currently out of stock. They're coming out of the woodwork lately. One went for €357 at auction last week, an amazing price. They were €1-200 a couple of years ago. The Celtic Whiskey Shop has them but sold out on the site. You're one is the last of the Gilbeys Redbreast from the mid 80's.